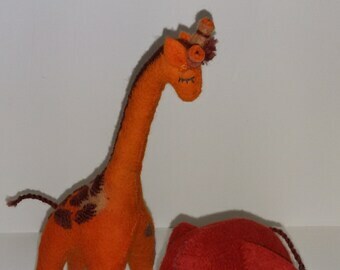 Announcement Rugs, hats, purses, ornamental dolls! We represent fair-trade, hand crafted wool items from Kyrgyzstan that are shipped to the U.S.A. Our items are carefully crafted with a culturally colorful, but sophisticated design. 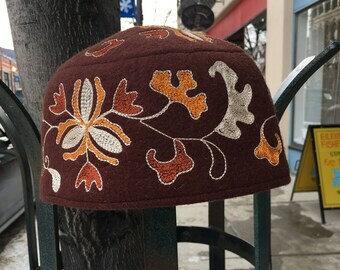 Rugs, hats, purses, ornamental dolls! We represent fair-trade, hand crafted wool items from Kyrgyzstan that are shipped to the U.S.A. Our items are carefully crafted with a culturally colorful, but sophisticated design. 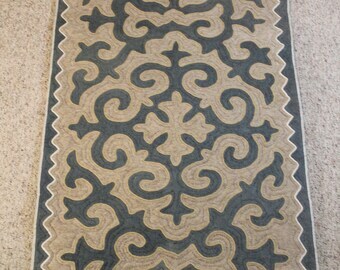 What a beautiful and unique carpet. A sweet memory of a beautiful vacation in Kyrgyzstan. Communication was excellent. Thank you so much! These pillows are beautiful and just as pictured. These shyrdaks are top quality and the cost is exceptional. The shipping rates make it a can't miss deal. I hope to purchase from this shop again. I am exceedingly pleased with the product and service. A selection of handmade shyrdaks made by artisans in Kyrgyzstan. We help women in Kyrgyzstan market their hand felted quilted rugs in the United States. 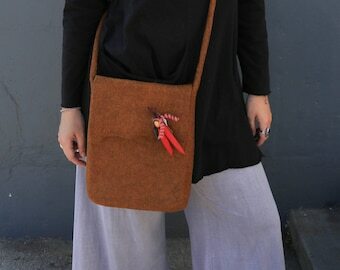 We also have felted bags, scarves and hats all made by our artisan friends in Kyrgyzstan. Avoid the shipping costs of buying direct from Kyrgyzstan by using our Etsy store in Helena Montana. Paula and Aizada have been working together since 2002 when they first met on a back country horseback trip in Kyrgyzstan. At that time Paula was living in London England and Aizada was a University student working summers as a guide and translator for her Uncle's horse trekking company. Together they have grown an export business that is currently centered out of Paula's shop, Aizada Imports, in Helena Montana. Paula has made many trips to Kyrgyzstan since then and continues to help artisans there to market their crafts in the United States. As it turns out, Montana and Kyrgyzstan have a sister state relationship through a program called "Partners in Peace", making Montana a perfect location to work from. We have personal relationships with all of the artisans we work with and they benefit directly from all sales made on Etsy. Our part is to ship to the USA and get their crafts through Customs. Then we can send directly to you charging U.S. postal rates . Aizada has worked at finding the best felt artists and helping them with design ideas that will appeal to western shoppers and decorators. 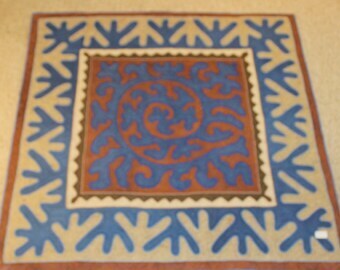 We only import the best quality felt and make sure that all artisans are getting paid what they ask for their work. 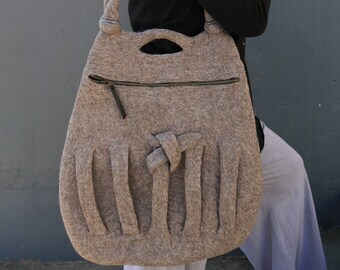 All items are made from high quality locally produced wool and made entirely by hand using traditional wet felting techniques. I am from Kyrgyzstan in central Asia. I have been working with Paula Halverson in the USA for over 10 years to help develop the skills and products produced by myself and my colleagues in Kyrgyzstan. Erkebu is a renowned Doll maker in Kyrgyzstan. She has won many awards for her work and her dolls are very collectible. She focuses on folk dolls from her country but also makes whimsical animals and toys out of felted wool. Meer has a home workshop where she felts beautiful hats, gloves, skirts and wall hangings using the nuno felting technique of combining silk with merino wool.